It has recently come to light that Saracens' duo Mark McCall and Alex Sanderson requested release clauses within their new contracts, signed until 2022. There has been plenty of Wolfpack experience filtered through that international scene at England, and with thier current form, a shuffle isn't out of the question. Wigan Warriors head coach Shaun Wane is due to leave the Super League club at the end of the 2018 Rugby League season. He has been linked with a move to Scotland as a defense coach, and with their recent outing in the USA ending with a loss 29-30, strength in that area is welcome. Ex-Harlequins forward coach Graham Rowntree recently left his post with the Aviva Premiership side on personal grounds after 2 seasons. There have been various rumours circulating that he is looking to restart his coaching career over at Wasps' as of next season. 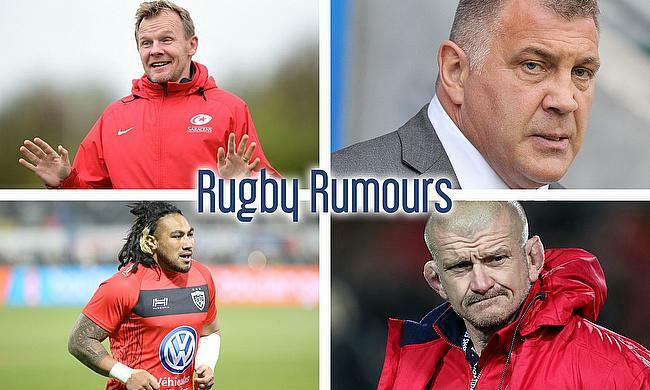 But ex-Gloucester prop, now new Toulon Head Coach, Patrice Collazo, has reportedly met up with the 36 year-old and discussed the renewal of his contract.